It is more likely than ever that President Trump will declare a national emergency at the border — and that’s just fine with some of his most fervent supporters. Stephen Bannon, the president’s former chief strategist, told The Hill that Trump “wins politically and practically — he uses his powers as a ‘forcing function’ ” if he makes an emergency declaration. But such a move would set off a firestorm of criticism from Democrats, and legal challenges would be all but guaranteed. Critics argue Trump would be overstepping his powers in an effort to circumvent Congress. They also condemn his rigidity in demanding funds for a southern border wall as the price for reopening the government. Still, the emergency strategy would give Trump an escape route from the partial government shutdown that is affecting about 800,000 federal workers and shows no sign of being resolved anytime soon. Even some Republicans who are less simpatico than Bannon with Trump’s hard line on a border wall see an emergency declaration as a politically astute move. “The effort to declare border security a national emergency is a way to win the battle while avoiding losing the war over the shutdown,” said one GOP strategist with ties to the White House. Thousands of federal workers had been due to receive pay checks on Friday. They will not and may have to wait another two weeks before being paid — if the shutdown is resolved in the interim, which is not certain. If the situation continues into Saturday, it will be the longest government shutdown in the nation’s history. 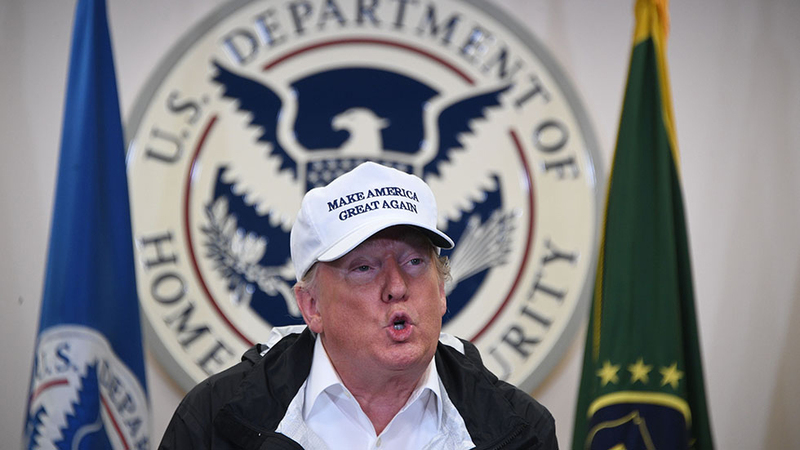 Trump told reporters at the White House on Thursday morning he would “almost say definitely” he would declare a national emergency if efforts to reach an agreement with Democrats in Congress were not successful. Later, during a visit to the border in Texas, Trump told reporters his administration would win the legal fights that would inevitably ensue. “Somebody would sue to stop it, but we would win that suit I believe very quickly,” the president said. find a compromise came to nothing. Meanwhile, The Hill reported that the White House is looking at $13.9 billion in funding approved by Congress last year to use for building Trump’s wall in the event he declares an emergency. That bill provided funding for various Army Corps of Engineers projects. The chief downside with the national emergency gambit, from Trump’s perspective, is that it provides no guarantee that new stretches of wall or fence at the border would ever actually be built. Court challenges could potentially last for years — long enough for the issue to be rendered moot if Trump were to lose his bid for reelection in 2020, for example. The president would also face allegations that he was engaging in a power grab. But with no sign of such negotiations being successful, Bannon was bullish on the overall prospects of success.